At the Kinrara Academy Oval, Kuala Lumpur, Oman batsman made short work of a target of 216 set by Singapore, chasing it down in just 26.4 overs and with eight wickets in hand. Oman continued their good run in the 2018 Asia Cup Qualifier notching their third straight win in as many matches to maintain their stronghold in the points tally. With two more matches to go for each tea, Oman have secured six points. Opener Aqib Ilyas made 108 while Jatinder Singh scored 53 before Khawar Ali (36*) and Vaibhav Wategaonkar (12*) took their team home. 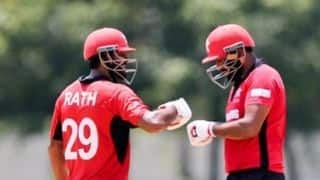 For Singapore, Abhiraj Singh claimed one for 51, while Manpreet Singh returned one for 23 in his four. After opting to bat first, Singapore managed to string together their best batting performance of the tournament so far with the help of opener Rohan Rangarajan’s 68 and Anish Paraam’s 77 at the top of the order. After losing Manpreet for 14 to Kaleemullah, Rangarajan and Paraam combined for a 106-run stand for the second wicket, but lost way after that. 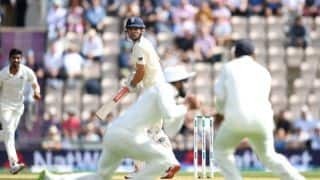 The next best score was just 19 from No.10 batsman Anantha Krishna, while captain and wicketkeeper batsman Chetan Suryawanshi added 11. 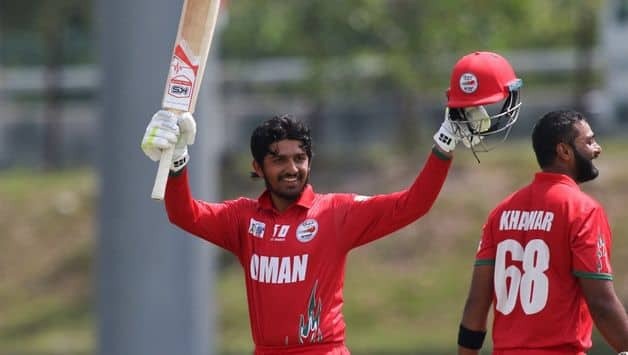 For Oman, pacer Bilal Khan was the pick of the bowlers claiming four for 40 in his ten overs while Mohammad Nadeem returned two for 21 in his seven. In reply, 25-year-old Ilyas and Singh got together for 151 runs for the opening wicket in just 17.1 overs before Singh was scalped by Manpreet. Ilyas, however, continued on and scored his maiden hundred in his fifth List-A appearance. In other matches, Nepal got the better of Malaysia while Hong Kong trounced UAE by 182 runs. Brief Scores: Oman 216/2 (Aqib Ilyas 108, Jitender Singh 53; Manpreet Singh 1/23) beat Singapore 215/8 (Anish Paraam 77, Rohan Rangarajan 68; Bilal Khan 4/40) by eight wickets.